St. Brendan’s Athletic Club members are very committed to both Tralee parkrun and Tralee junior parkrun. Pat Sheehy and myself are both members who are also on the parkrun and junior parkrun core teams, with Pat playing a pivotal role on both parkruns. 75 of its members (both youth and adults) are registered with parkrun Ireland and have a combined 1,143 runs completed. St Brendan’s AC, member of Athletics Association of Ireland, is an athletics club based in Ardfert, Co.Kerry and caters for athletics in the North Kerry area including the areas of Ardfert, Ballyheigue, Ballyduff, Kilmoyley, Lixnaw, Abbeydorney, Causeway, Kilduff and their surrounding areas. The club itself was founded in the late 70s with its current President, Patrick O’Riordan being one of the founding members. The youth section of the club is celebrating 30 years in existence this year. The club strives to keep progressing every year while promoting athletics as best as possible in the North Kerry area. Current membership is 134 and the youngest a member may join is seven years of age, with no age restriction for the adults. “On a beautiful Sunday morning, 214 early risers, including park run tourists and first timers, took part in the ‘Tralee junior parkrun’. With that number of attendees, it was a bit crowded, but the marshals and volunteers got their heads around it and began with a short briefing of what the run involves. The ‘Tralee junior parkrun’ welcomed members of St. Brendan’s A.C, who always make a great effort to turn up, and also welcomed the Ardfert Brownies who made an appearance. After a couple of group photos, the names were announced of those who had earned blue and green wristbands. Soon after, the warm-up started which was led by youngsters, Lilly Nowak and Kevin Horgan, who are both members of St. Brendan’s A.C.
Everyone was keen to start running, so keen in fact that they started running before the countdown finished! The volunteers did a great job, as always, marshalling the course and managing the finish area as well as finally processing the results, so that everyone gets to see how well they’ve done. Tralee junior parkrun is now giving the platform for our younger members to gain the confidence in speaking in public and embedding the volunteering ethos from a very young age. 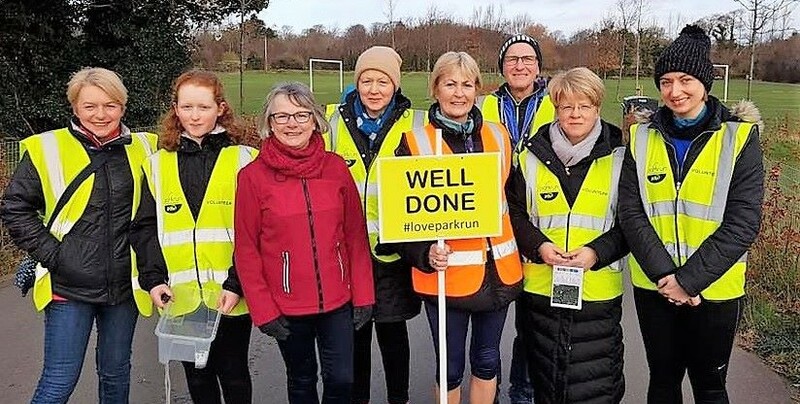 The weekly parkrun/walk, along with their weekly training sessions in the club, has improved their fitness levels, as can be seen from the times that the children are recording. The club has also experienced an increase in it’s membership as a result of Tralee junior parkrun. New members who recently joined were parkrunners Cody and Calvin. It is clear that both groups complement one another, and St. Brendan’s A.C. are proud to support both parkruns. St. Brendan’s Athletic Club members are very committed to both Tralee parkrun and Tralee junior parkrun. 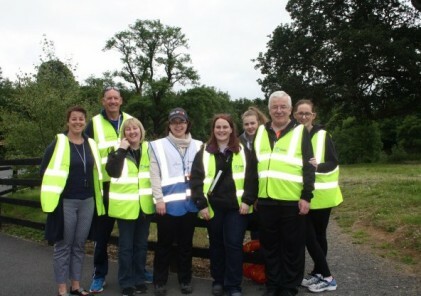 Two of its members, namely Pat Sheehy and Moira Horgan are on their core teams, with Pat playing a pivotal role on both parkruns. 75 of its members (both youth and adults) are registered with parkrun Ireland and have a combined 1,143 runs completed.